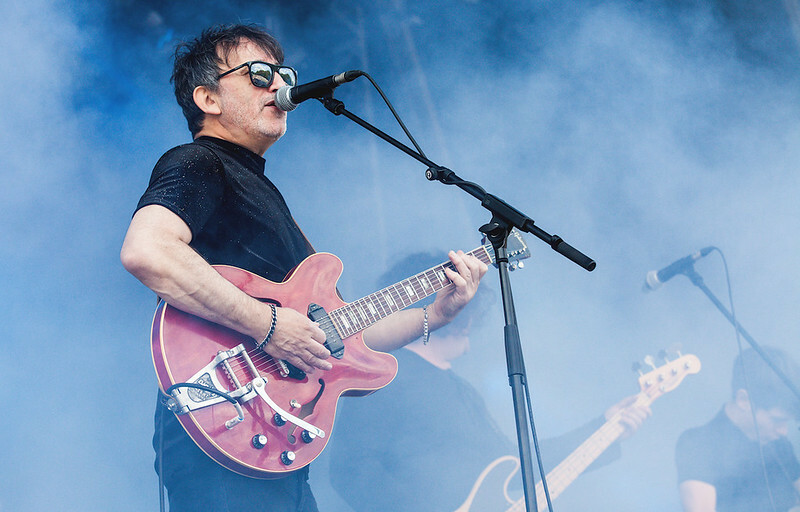 After climbing an unreasonably large hill to arrive at the Bingley Music Live festival site, I emerged into the beautiful West Yorkshire sunshine just as the Lightning Seeds were closing out their set. Songs such as Life of Riley and Change provide a certain nostalgic satisfaction, but these tracks haven’t aged particularly well, and the omission of Three Lions is keenly felt by all in attendance. 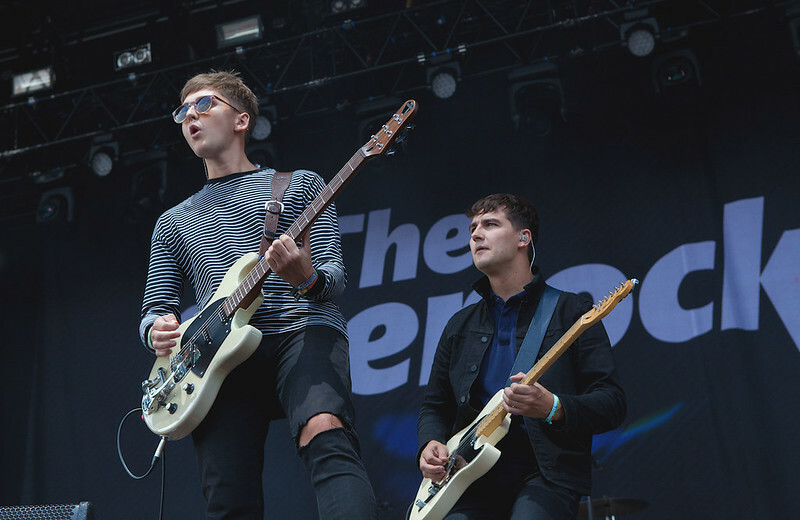 Sheffield’s The Sherlocks have gone from strength to strength in recent months and end up being about as good as a band who wear their influences so completely on their sleeve can possibly be. While the whiff of the Courteeners is never far away, Chasing Shadows and Last Night are anthemic and while new song Magic Man doesn’t suggest a bold, new direction, it ticks all the boxes required to be, what the cool kids might call, a banger. Gomez have never really fit in. 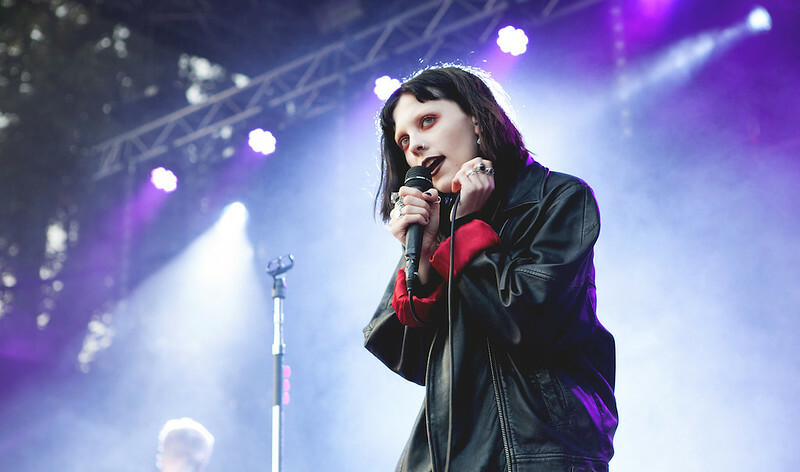 They were outsiders in the ’90s music scene despite their Mercury Music Prize win and the fact that they are still going strong is testament to their undoubted staying power. 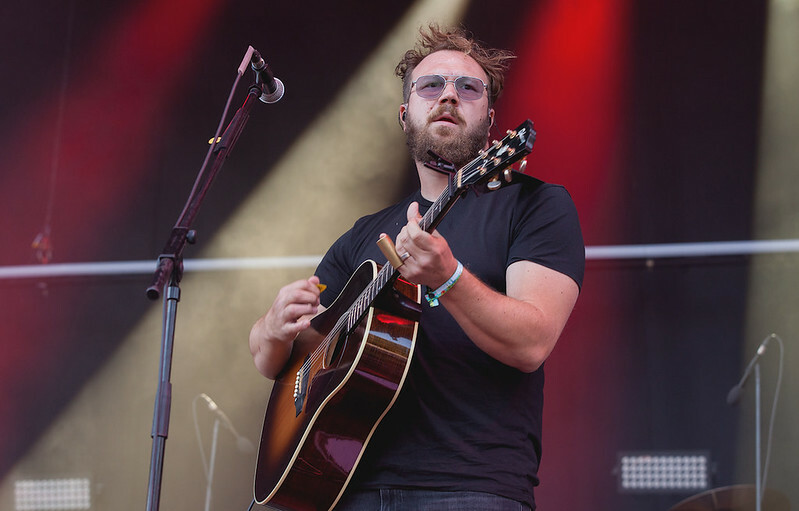 The band swap instruments throughout and Ben Ottewell’s voice is as affecting as it is powerful. Whippin’ Piccadilly is still a classic but it is Get Myself Arrested that provides the first real moment of crowd unity. The fact that many in attendance weren’t even born when the seminal album Bring It On was released is a sobering thought but by the end of a blistering set, Gomez have won everyone over. 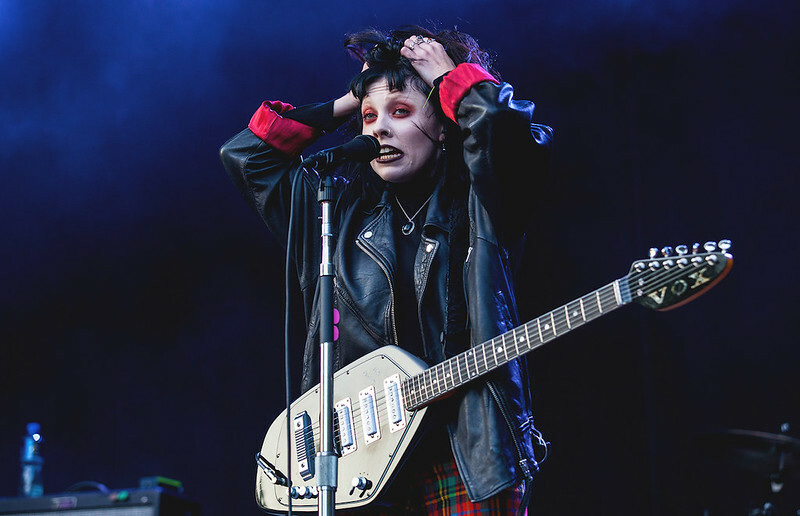 Pale Waves promise to be huge if their debut album is anything to go by and, at Bingley, lead singer and guitarist Heather Baron-Gracie has a great stage presence and a tight band behind her. I can’t help but notice the lack of a keyboard/synth player which suggests a backing track. It’s difficult not to feel a little cheated when ‘live’ music isn’t actually being played live but the kids at the front don’t care and nor should they. Surely nobody would begrudge Shed Seven their Indian summer. 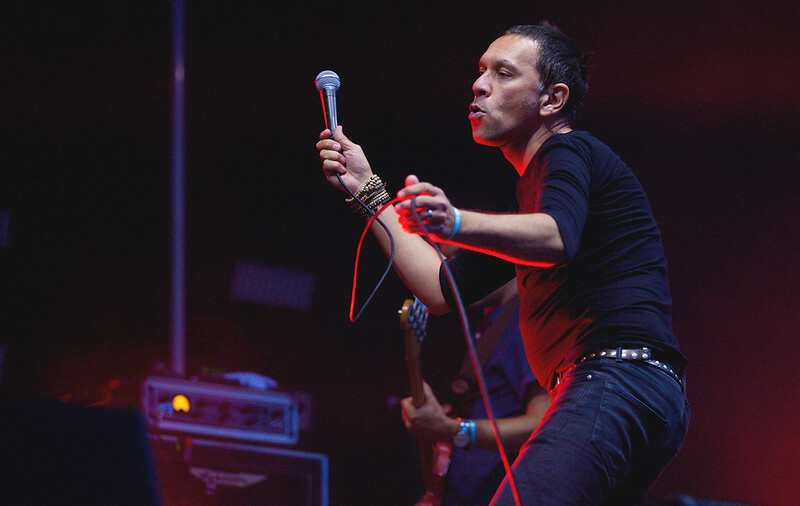 The band are arguably as popular now as they have ever been, and Rick Witter is clearly loving playing to bigger audiences. The York legends feel like a headline act now and that is mostly down to how engaging Witter is a front man. Tracks from latest album Instant Pleasures are well received but we are here for the classics. She Left Me On Friday and Disco Down are songs that were built to be performed live and Chasing Rainbows closes out the set. It is genuinely inspiring to see people of all age groups with arms aloft, united in their weakness for a singalong chorus. I fell for Spector the very first time I saw them. Something about Fred Macpherson’s self-deprecating lyrics just got me and I have loved them deeply ever since. The London band bound on stage and lurch immediately into Bad Boyfriend. 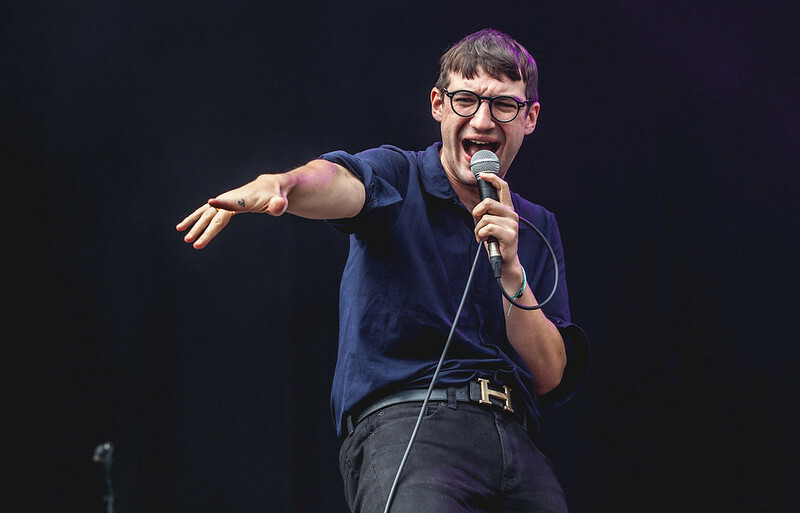 The early afternoon slot results in a sparse crowd but Spector play with their usual energy as Celestine sounds as vital as ever. They close the set out with the anthemic All The Sad Young Man before being ushered offstage halfway through Never Fade Away due to time constraints. Warm applause. My heart bursts. The band exit stage right. Next up is Elvana. That is, a Nirvana tribute band fronted by an Elvis impersonator. While there are times when the set feels a little like a fever dream, the heady mix of Memphis rock ‘n’ roll, and Seattle grunge actually works. The reasons for this are myriad. 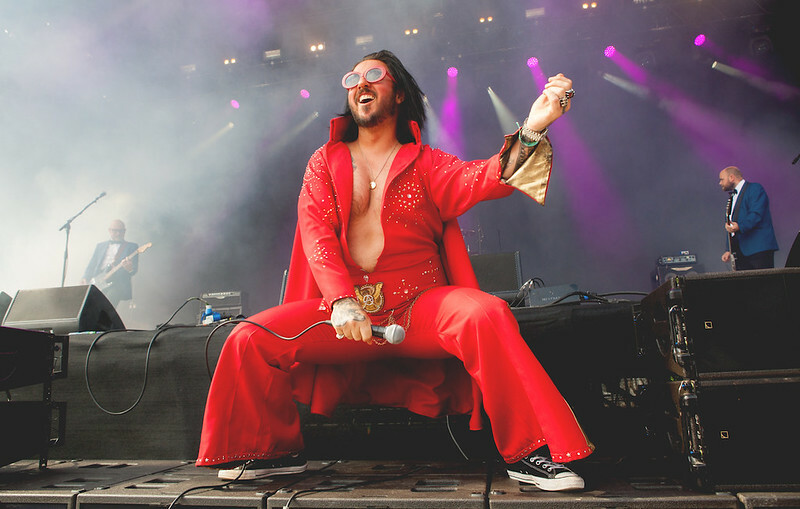 Firstly, lead singer Elvis (real name unknown) is a genuinely compelling performer (this will become important later – read on). Secondly, the band are fantastic musicians, and thirdly, Evana are funny and entertaining throughout the entire 45-minute set, rendering what should be a one note joke successful over the whole show. ‘Elvis’ admits half way through that his Elvis register wobbles between Nic Cage and Matthew McConaughey but when everyone is having so much damn fun it barely matters. 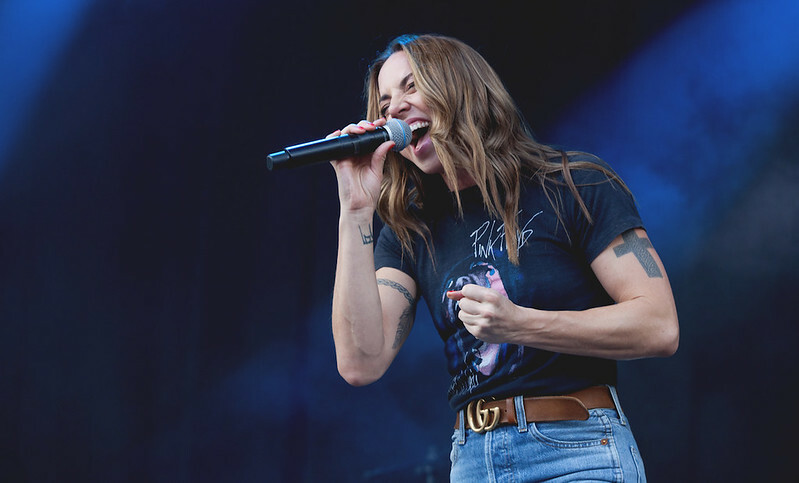 On what must be the most eclectic festival one-two of all time, former Spice Girl Melanie C follows Elvana and I must admit, I had low expectations. As the set rolls between rock covers (REM’s The One I Love) to old Spice Girls numbers (2 Become 1), Mel C slowly wins me over. By the time she wheels out the Bryan Adams collaboration When I’m Gone, sans Adams of course, I am clapping along like a teenage girl in the ’90s in the deepest throes of girl power. 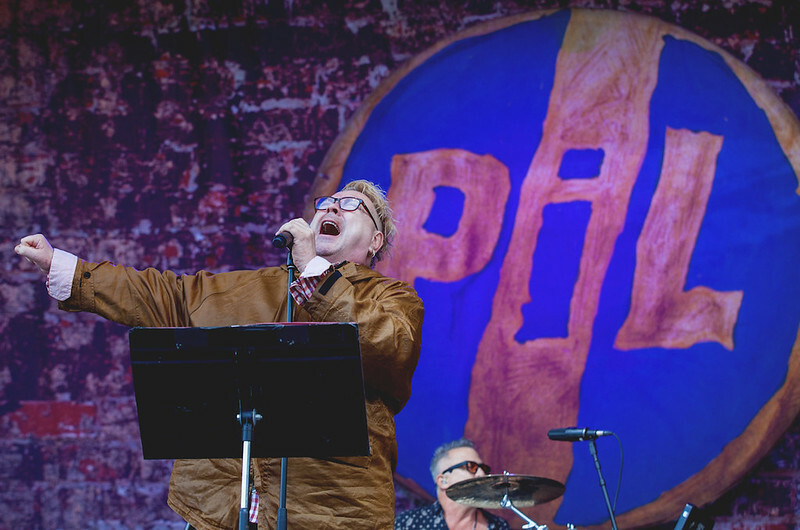 John Lydon’s post punk outfit Public Image Ltd or PiL amble on stage next and the band provide a wasp-in-a-teacup drone as Lydon wails over the top. Their seemingly never-ending set loses the majority of what is a very forgiving crowd and it is damning that Lydon, one of the most important musicians of his generation, is upstaged by Mel C, a former spice girl. 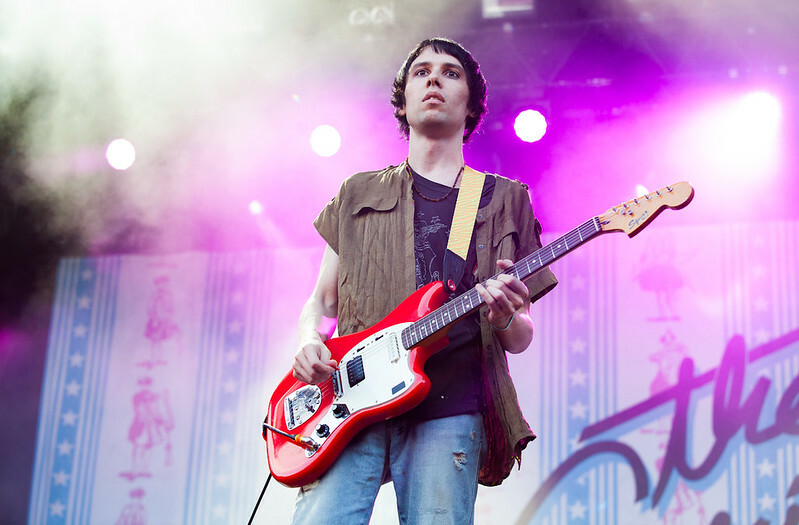 The Cribs provide the perfect tonic and the Wakefield trio are on blistering form at what is almost a homecoming show. From the visceral opening of Mirror Kisses through to the familiar stomp of Men’s Needs, the Jarman brothers deliver an incendiary, career spanning set that sees old classics Another Number and You Were Always The One rubbing shoulders with new tracks like In Your Palace to magnificent effect. Earlier in this write up I mentioned Elvana and their ability to entertain a crowd due to a lead singer brimming with charisma. 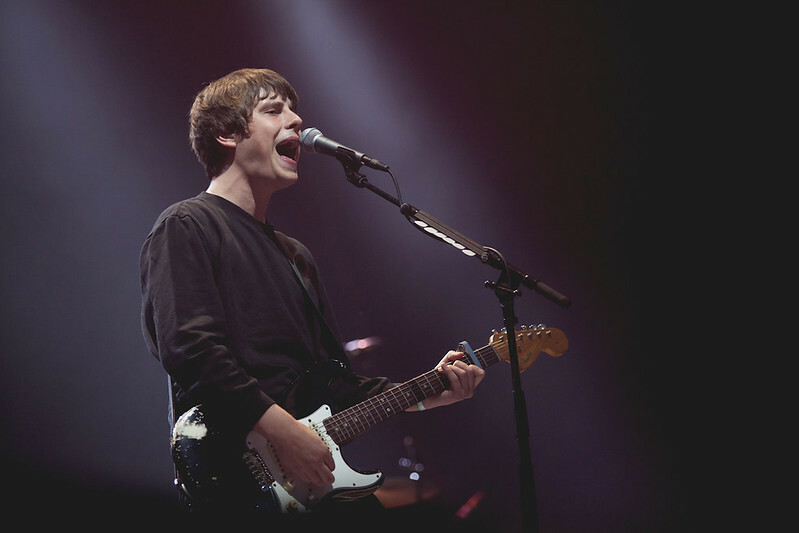 Jake Bugg brims only with uncertainty as he meekly asks the audience if it’s OK for him to ‘take it down a notch’. Bugg starts well but after the first five or six songs he runs out of steam and never really regains momentum. He gets by on the sheer number of good songs he has in his arsenal, but a Saturday night headliner requires more than just a professional run through of the hits. 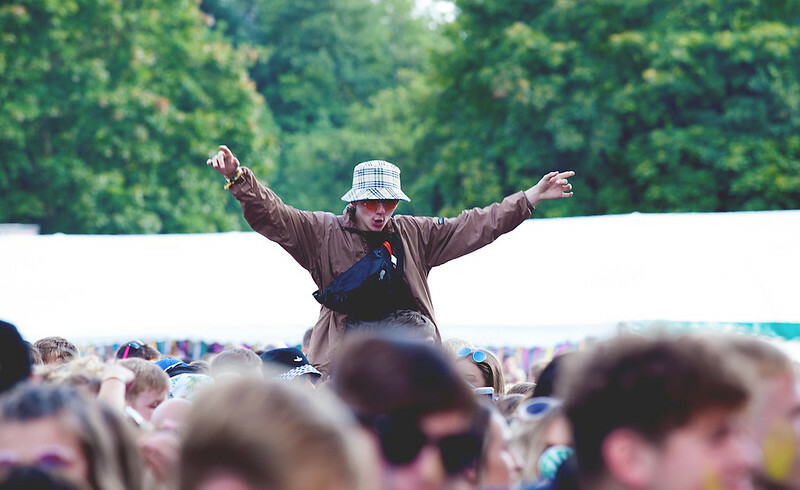 We attend a festival to be inspired. Bugg inspires only trips to the bar for an ill-fated dalliance with vodka and Red Bull. Neon Waltz get things started on day three of Bingley Music Live. The band hail from Wick, a town at the very north-eastern tip of Scotland, and they bring some of that small-town charm to Bingley with lead singer Jordan Shearer seeming faintly embarrassed that anyone had turned up at all. Such modesty is misplaced however, as the band deliver their brand of gently euphoric indie pop with aplomb with Dreamers and Bring Me to Light sounding particularly impressive. 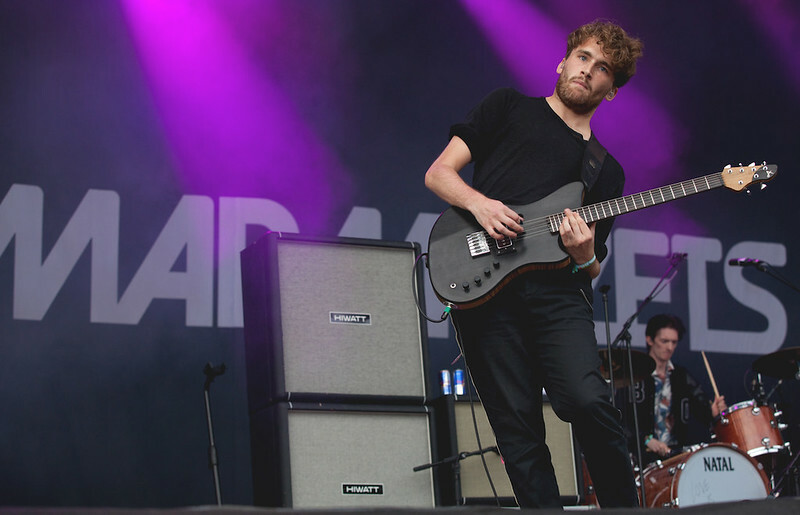 Local band done good Marmozets follow. I was a little dismissive of them at first but by the end I was a full convert to the church of front woman Becca Macintyre. 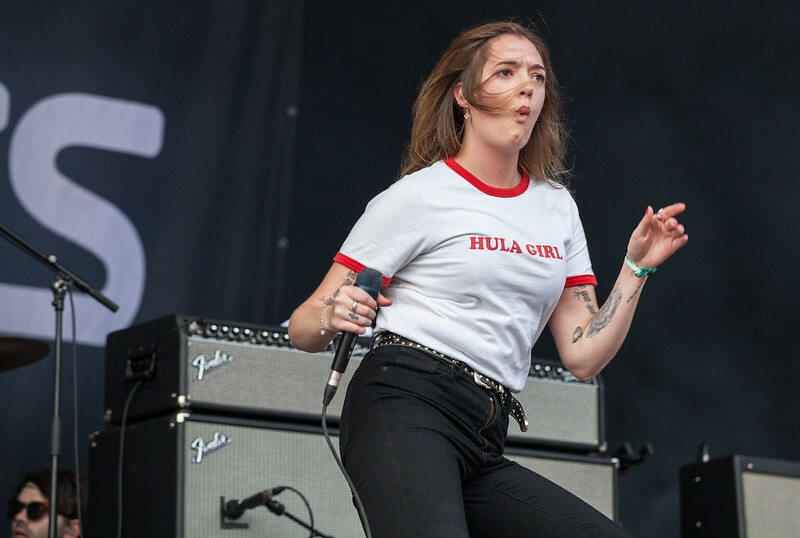 Her, quite frankly, astonishing voice elevates them above their peers and every band member smashes through their tracks with an intensity and exuberance that becomes impossible to resist. Next up is Peace, a riddle inside an enigma wrapped in a bad haircut. When they are good as on tracks such as Wraith and 1998 (Delicious) they are as good as any band out there. The latter is particularly explosive with guitars attacked with gusto in an extended jam that delivers from start to finish. When they want to be a psychedelic guitar band they do it brilliantly, but they spend more time these days making pop music. 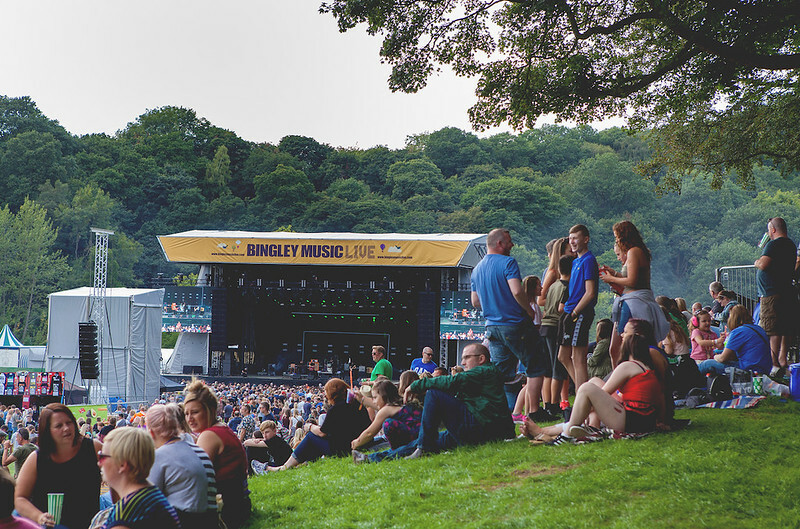 Before we get to the main event, a word on Bingley Music Live. 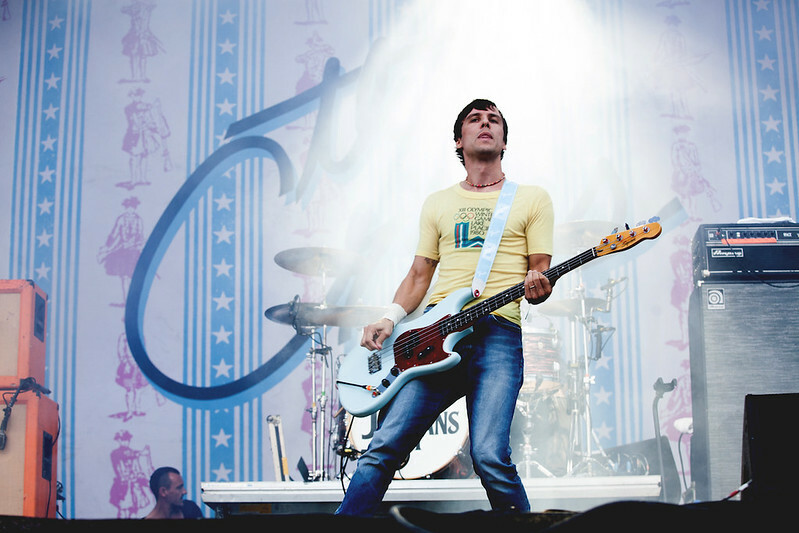 When the festival rose from the ashes of Music at Myrtle in 2007, the entire lineup consisted of one stage, two days and 14 bands. The headliners that year were a Jam tribute act and the Charlatans. Fast forward ten years and Bingley has reached a point where it is normal to have 16,000 people packed into Myrtle Park about to watch Noel Gallagher. It is genuinely heartening to see a success story such as this in times when culture is so criminally underfunded. Bravo Bingley. OK then. 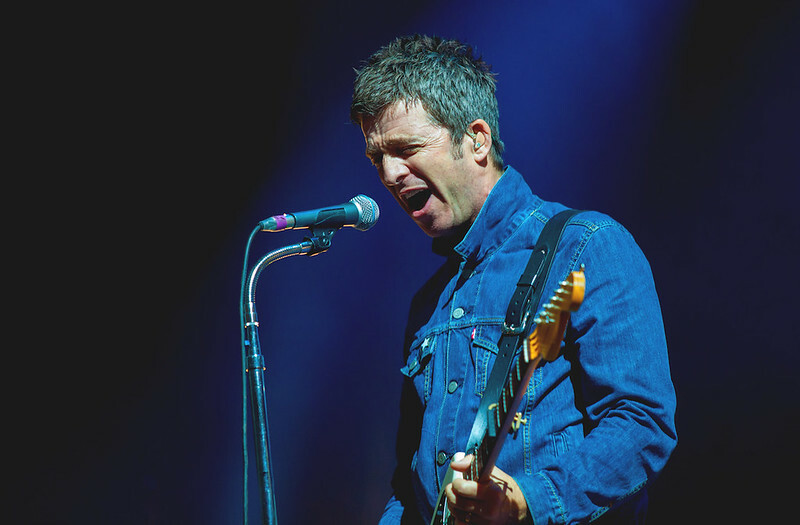 Noel Gallagher. The chief strolls on stage and breaks straight into now traditional set opener Fort Knox complete with a full band. And when I say full band I mean backing singers, brass, keys, the whole shebang. At one point someone is playing a pair of scissors for chrissakes. The set leans heavily on latest album Who Built The Moon? 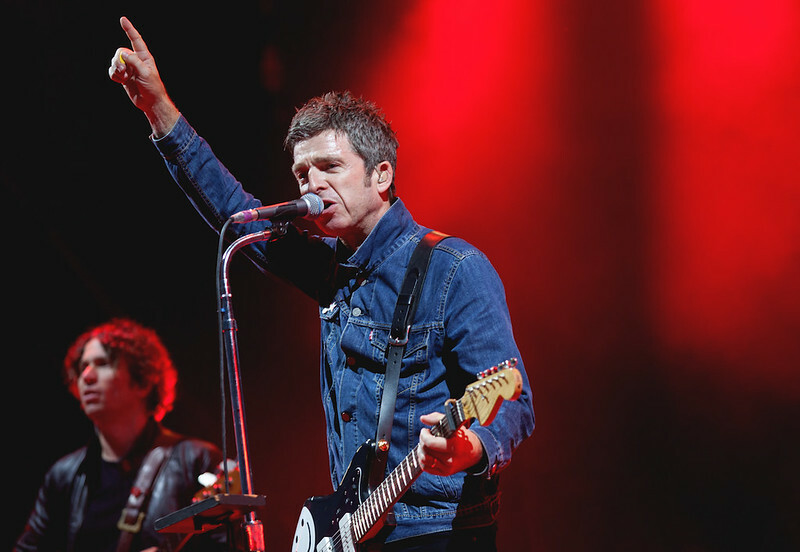 but after so long at the top of the music industry, Noel has earned the right to pick and choose how he sees fit. The evening really takes off with If I Had A Gun and from there it is all gold. Whatever inspires the first mass singalong of the evening before Half the World Away is introduced with ‘this song is dedicated to Manchester… where you all wish you were from’. 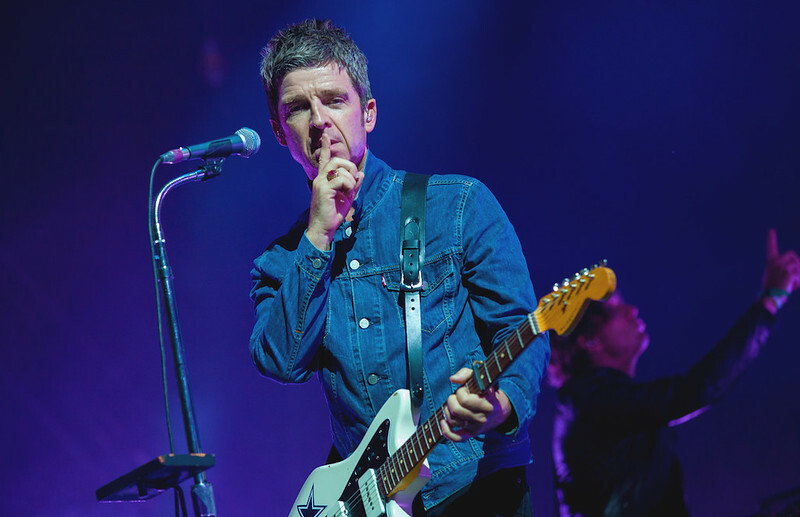 Noel jokes with the crowd about being unable to understand their Yorkshire accents but it always comes from a place of warmth and the audience laugh along with him, with the occasional ‘Yorkshire’ chant thrown in for good measure of course. I’ve seen Noel a fair few times now and I have been a little curmudgeonly about Wonderwall and Don’t Look Back In Anger, but during the former, a young lad in front of me, proudly sporting a Noel Gallagher t-shirt, almost wells up during the unmistakable acoustic guitar opening and seeing the song through his eyes brings home just how important and era defining these tracks are. 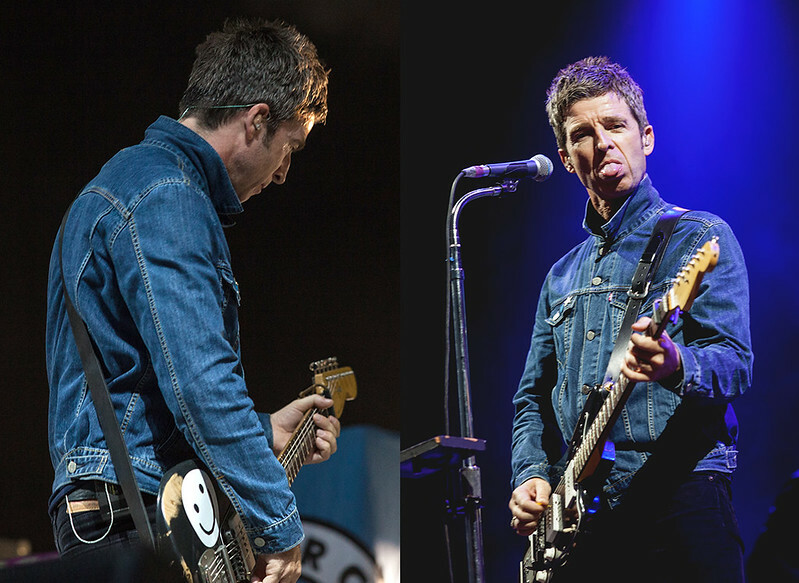 The last three tracks exemplify why Noel Gallagher is still headlining festivals. First, a rare outing of Go Let It Out, followed by a genuinely moving acoustic version of Don’t Look Back In Anger, before a unifying cover of All You Need Is Love closes out both the evening and the festival. 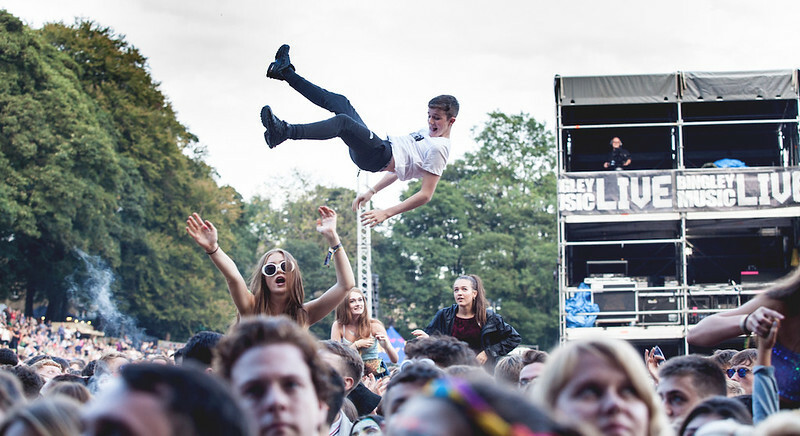 Bingley Music Live has captured my heart in a way that only a homegrown, medium sized festival can. The whole atmosphere of the place is special and there is a feeling of a town aching to put on a show to remember and be as welcoming as possible. 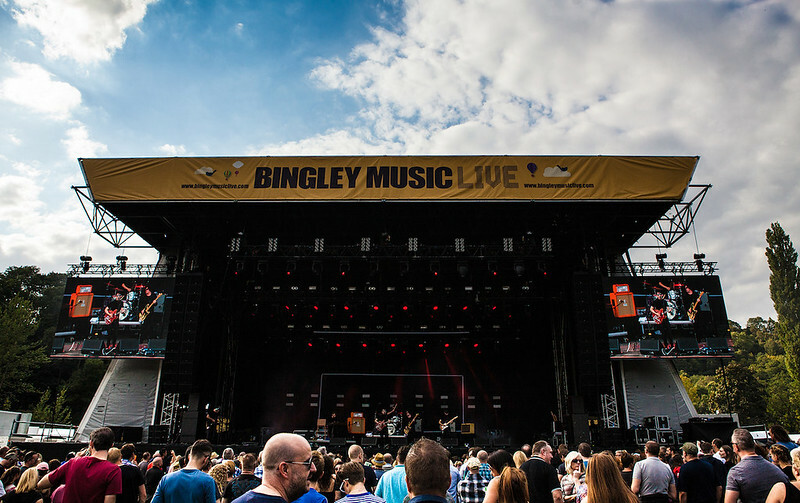 2018 was my first experience of Bingley Music Live. Rest assured, it won’t be my last. 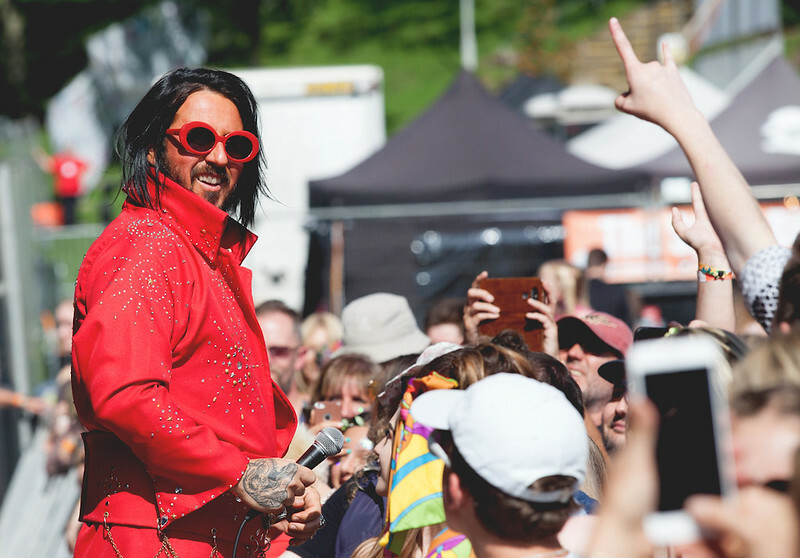 See the full photoset from Bingley Music Live 2018 here.